@jags_24 I am validating that this deal works as described. 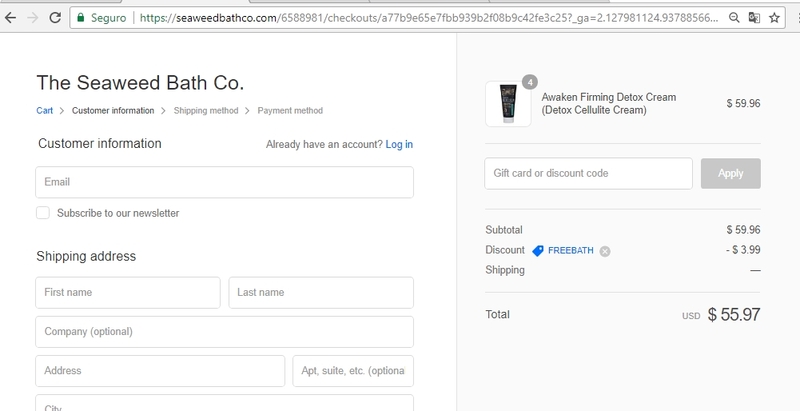 Enter the code at the end of the purchase and get Free 2oz Seaweed Bath on Orders of $25 or More & Free Shipping at Seaweed Bath Co.
Armando This promo code works if your order is over 25$ then you get 2oz free unscented seaweed bath plus free shipping. Laura DeLuca Non-GMO Month Sale: Receive a free 2 oz. 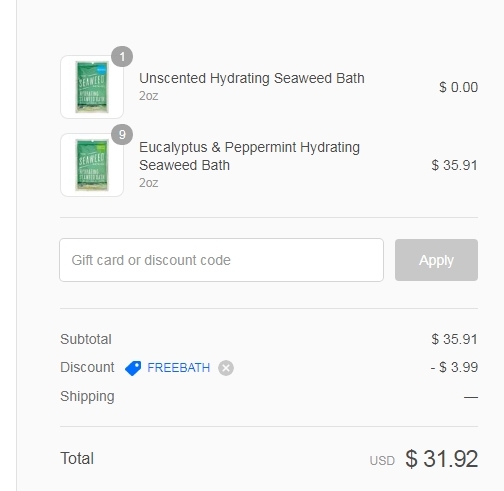 Hydrating Seaweed Bath with any purchase of The Seaweed Bath Co. products of $25 or more. Add any 2 oz. 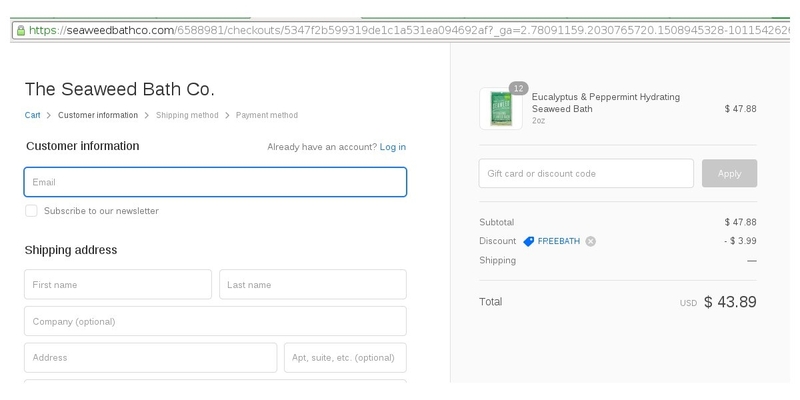 Hydrating Seaweed Bath to your shopping cart and enter code "FREEBATH" at checkout. 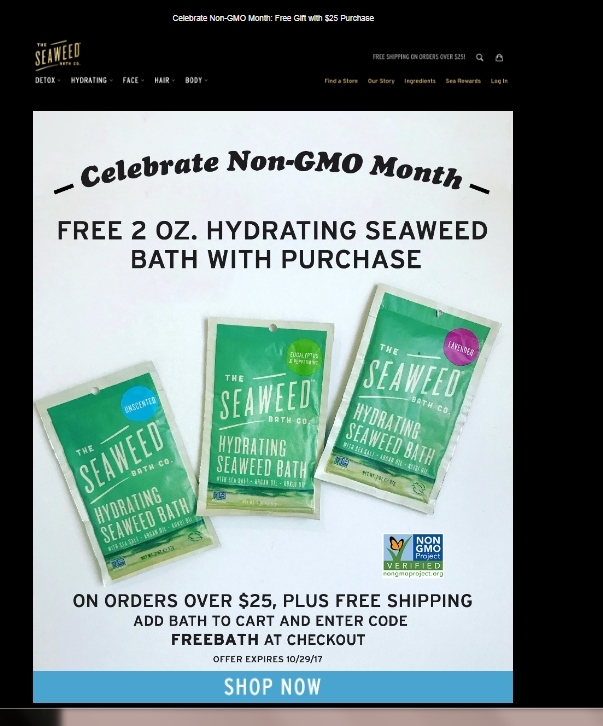 Offer valid only in the US at www.SeaweedBathCo.com. One use per customer. Quantities of this special offer are limited and subject to continued availability. Not valid on international purchases. Discount applies to merchandise only, not value of gift cards purchased, packaging, applicable taxes or shipping & handling charges. No adjustments on previous purchases. Not valid for cash or cash equivalent. 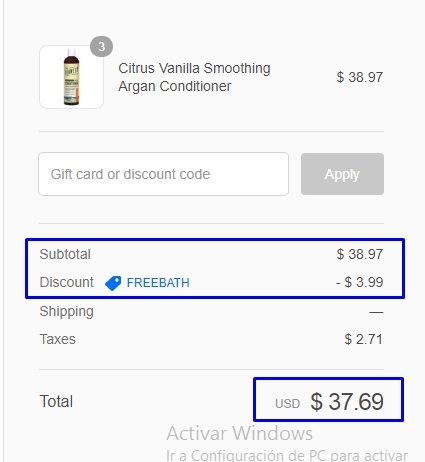 Cannot be combined with other offers or discounts. Offer Expires 10/29/17 at 11:59 pm CST.